View this newsletter in your browser. Come join us on the 4th of September for Camphill’s incredible monthly country market! 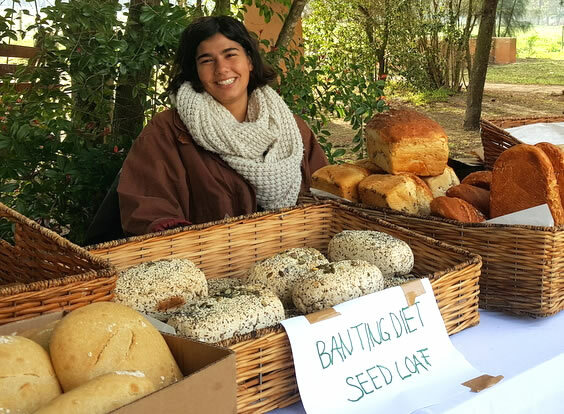 Our Bakery has been hard at work over the last few months to bring you some new products for spring, including a Camphill Banting bread and two new rusk recipes: Country and Coffee & Coconut. Our cosmetics department has your favourite Camphill creams back in, and a new liquid range, which includes hand soaps, shower gels and shampoos. The dairy’s famous Camphill yogurt is available at the shop during the market. As always our garden will have some fresh organic veggies for you and your family. We have two new food offerings this market: our lovely Annette Richards has added rooties to her existing offering, and a new vendor, Johan du Toit, joins us with his Old School Food Truck, offering fantastic pork sandwiches, chips, boontjiesop and delicious home-made ginger beer and ice teas. This month the team from “LUCKY LUCY FOUNDATION” join us at Camphill looking for forever homes for their special animals. We would also like to mention Gayle and Dave from Green Décor who have wowed our visitors with their stunning wood and décor creations at the last two markets. Not to forget the rest of our outstanding vendors bringing Camphill fans a host of wonderful products: organic products, wholesome foods, condiments, earthy jewellery, clothing, books, toys and all sorts of home-made products. Our Live performance this Market will be the ever popular Ms Kathryn Swain bringing us her home grown blend of lyrical music. Our Sunday Lunch featured dish will be Chicken à la King with a mushroom version for our vegetarians, so bring your family and come enjoy a great day at Camphill Market. Directions: From the N1 take the N7 towards Malmesbury, travel approx 35km. At the sign “R304 Camphill Village / Atlantis” turn left, drive another 4,5km and we are on the left. Our vision is to build our herd to 100 Jersey cows of good stock. 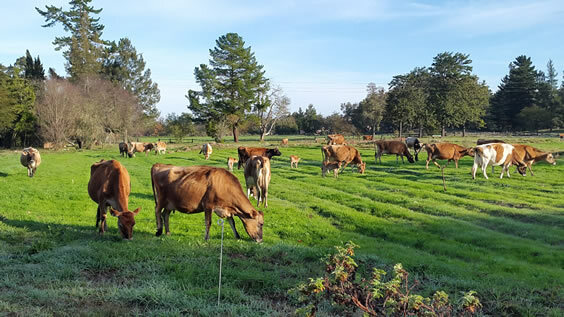 To enable us to sustain such a herd we will have to establish additional planted pastures under irrigation. We have received funding to replace our spotlights and many of our lights with LED lights, to significantly reduce our energy consumption. We are also in the process of planning Phase 3 of our solar PV power generation - which we hope to launch early next year. Our aim is to run our bakery, shop and coffee shop, Sunshine workshop and cosmetics workshop off solar power. We aim to launch this phase at our music festival on the 25th of February 2017. 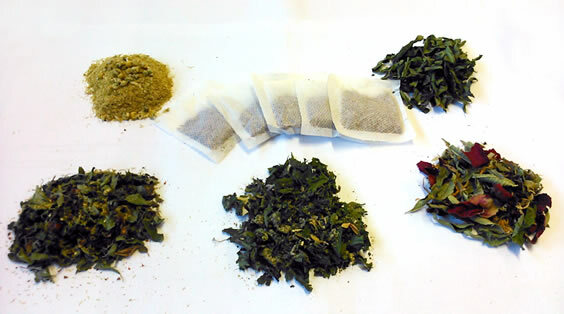 Great news, Camphill loose-leaf teas are now available in a convenient tea bags. That’s right, your favourite nutritional and tonic teas have been bagged and boxed for you to enjoy. Our Natural Health Teas are designed to assist in maintaining a healthy lifestyle, catering for a variety of ailments and nutritional support needs. Smooth and delicious all round tonic - rose geranium, nettle, elderflower, mint, lemon verbena, calendula, lemongrass & rose petals. This combination is known to have antiviral, antibiotic, antioxidant properties and contains numerous minerals and vitamins. A powerhouse of vitamins and nutrients, this exotic and flavoursome blend of rosehip, hibiscus flowers, nettle, chamomile and sweet marjoram. Contains high levels of vitamin A, C, K, folic acid, calcium, iron, magnesium and potassium. A potent natural sedative blend, to aid and assist in getting a good night’s rest. Our customers are already raving about the power of this Camphill tea. For some it has removed the need for medication and does not have the side effects. It contains a mixture of hops, lemon balm, valerian root, chamomile, mint and lavender. Natural and soothing, chamomile tea has been used for centuries to calm stomach ailments, muscle spasms, and to help in falling asleep. As a non-profit dedicated to creating products that are not only natural but holistic and of the highest quality, we face many difficulties in finding the right raw materials in a chemically driven market. Such was the case with our much loved Camphill Creams, when our suppliers stopped selling the natural ingredients. Rather than compromise our products we set out to find a replacement and are pleased to announce that we finally have! 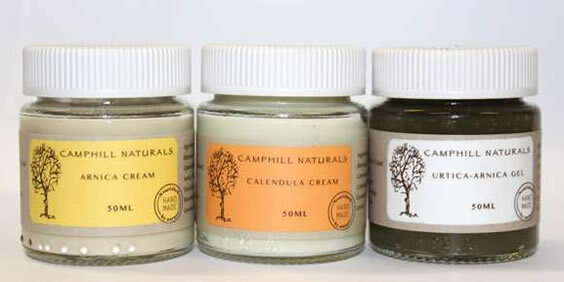 The new Camphill creams contain more Camphill goodness than ever, utilizing our own Jojoba oil and infused oils. We can now also extend our range to include a wider variety of body and hand creams. So if you have been missing your Arnica, Calendula, Neroli and Chamomile creams, fret no more - we are all stocked up and our orders department is awaiting your order. We will also be re-releasing our range of Jojoba & Rose, as well as Almond and Chamomile Hand Creams. Camphill Bakery is proud to announce a new addition to their scrumptious range. Banters can now also enjoy their share of Camphill goodness every day. Our new 800g Banting, free-form, sugar-free bread is made with flax seeds, sunflower seeds, coconut flour and our delicious Camphill yogurt. Sprinkled with coconut flour, pumpkin seeds, linseed and poppy seeds. With summer in the air, we all start shedding the layers of winter clothes and realise how we have been hibernating and relaxing, and that all the hot chocolates and peanut butter sarmies and and and....are showing. We at Camphill have decided to get a head start to our summer bodies and fitness. Every Friday morning at 6:45 we run, there is Biodanza class and last but not least the new wonderful addition is our gym. 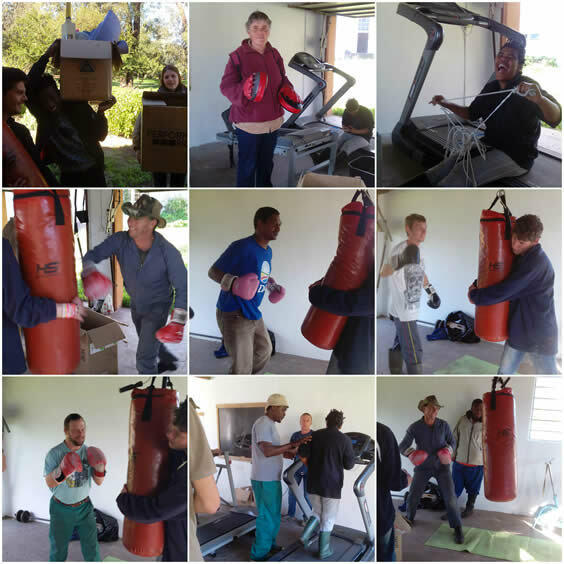 Thanks to Francois and his team from Directaxis who have donated a treadmill, boxing bag, a box full of boxing gloves, skipping ropes, gym mats etc, we are so grateful. Our gym is open and fully operational every evening from 19:00 to 20:30 and some lunch times. Well attended by house parents, residents and staff, all under the watchful training eye of Wanda. The enthusiasm is absolutely catching, watch this fitness space. 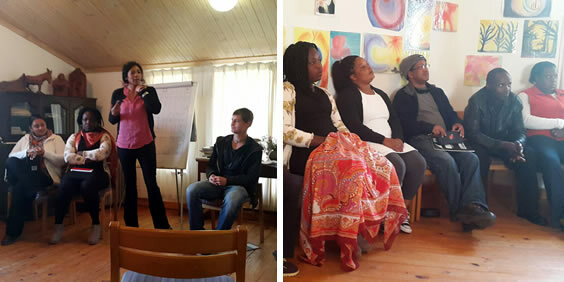 All the staff of Camphill had one day training in the management of challenging behaviour. The training was presented by Dr Nashreen from Alexander hospital. It started very seriously talking about human rights, our laws and constitution. We moved from causes of violence to low arousal approaches, how to diffuse a situation. She pointed out the frustrations that people with ID live with and simplified it for us to understand, read body language and what to look for. She managed to take this serious subject and make it a fun learning interactive workshop. We all enjoyed the training and left feeling more equipped for the unexpected, equipped with tools you can use anywhere and everywhere. Looking forward to the next one. Women’s Day 2016 in Camphill Village was a rather pink-tinged affair, from the tablecloths, serviettes, flowers and decor, to the outfits all in different hues of pink. After the opening-prayer by Mr Pretorius of the Saxonworld New Apostolic Church and to strains of softly playing music, our ladies were treated to a delicious 3-course breakfast. Live entertainment was provided by Reggie “the traffic cop” Osendorp and some of the gals were lucky to receive a copy of his recently launched cd/dvd. Sister Sheryl, our resident nurse, gave a short talk on how blessed we as women are to live in a time such as this, because things were very, very different for women 100 years ago. And then it was time to get up and dance! Energetically, boisterously, freestyle...think Hayley and Thuli! Too soon it was over. The Saxonworld New Apostolic Youth group assisted with the cleaning up as the ladies made their way home. Mrs Lucinda Baron and her colleagues at Parklands Properties, Reggie (the traffic cop), the New Apostolic Church Saxonworld, and each and everyone who contributed to making our Women’s Day really special. We, the ladies at Camphill Village West Coast, thank you. We had nice granola with yoghurt and afterwards scrambled eggs with bacon. We also had music and some of us even got a CD. It was very nice to have breakfast with all the women. It was very special and it was a very nice treat for all the people who don’t have family and can’t get out. I think we should have it every year, slightly different every time, maybe cake and coffee next time. It was very nice, everybody got together and were sitting together at the big tables not on their own. If you have ever been to a Camphill market, I’m sure you have met Annemarie. This outstanding individual has been a resident here at Camphill since 2006. Not one to be caught sitting or let life pass her by, she quickly became an integral part of the market. Annemarie is responsible for setup of the coffee shop, from layout to decorating and takes the greatest care and pride in cleaning up after the market. Over the years she has filled many vital roles in the enterprises and homes around Camphill, she has fantastic interpersonal skills and loves to keep people smiling. Well known by the vendors, at her own market stall Annemarie sells cards, lavender bags, chocolates and sunglasses covers, saving up the money to buy more materials and perhaps treats for her friends. Christmas is on the horizon now, why not stop off at your next visit to Camphill Market and buy your family some handmade cards from our residents. Helen was born with Congenital Rubella Syndrome on 28.03.1943. Her mother had German measles (Rubella) during pregnancy. Her hearing and eye-sight were severely affected. At the age of 6 months Helen had double pneumonia and nearly died. She wore tiny spectacles to help her see a little bit from the age of 13 months. At 22 she had an operation that helped her to see better with one eye, though the other eye is totally blind. She also wore a hearing aid in her one ear from childhood, she is totally deaf in the other. She had a very hard childhood and had to take care of her father and brother. Helen applied to Camphill Hermanus in 1962, where she was employed as a helper. 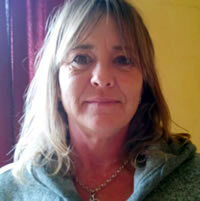 It soon showed that Helen herself needed help, so she became a permanent resident. A few years later (1968) she came to live in Camphill Village West Coast. Helen is a very gifted person despite her physical challenges. She loves classical music, likes to play the lyre, takes drama lessons and is not shy to perform in front of an audience. She is also very eccentric and has an iron will! As Helen grows older she is becoming slower in caring for herself. Her hearing and eye-sight are deteriorating. 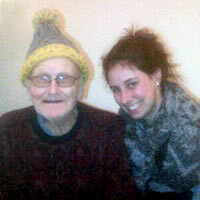 Helen has no family to go to and very seldom has the chance to go out and visit someone. 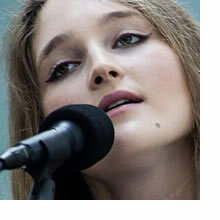 Helen is in need of a new hearing aid, the old one is beyond repair. 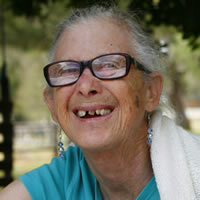 With no hearing and bad sight, Helen lives now in an isolated world of her own. She is depressed and sits mostly in her room. She cannot hear her beloved classical music or read much. She cannot socialize or go to concerts anymore due to the deafness. 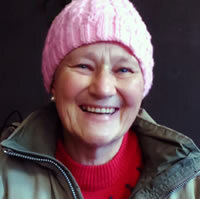 The cost for a new hearing aid is about R20,000, and we are actively trying to raise funds to buy her a new one, which would greatly enhance the quality of Helen's life. 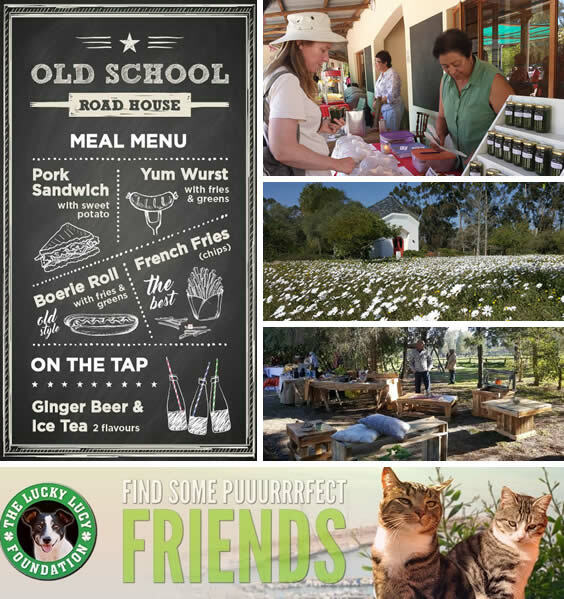 If anyone is able to assist with this, please contact Janine, at fundraiser@camphill.org.za. Catherine Taylor, new House Leader at Ibis and Egret House, may be small but she is a powerhouse of confidence, positivity and energy. New to our little community, she has taken to her role as House Leader like a duck to water. She has also dived, headfirst, into taking on added responsibilities. Much loved by her residents, and all with whom she comes into contact, she is enjoying the opportunity of taking part in the shared living of a group home. She finds peace in the tranquillity of the farm and takes great joy from with working with the residents. We have acquired a lady of many talents and look forward to seeing her bloom in our wonderful community. 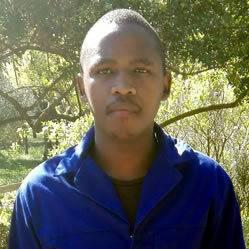 Babalo Mazomuy joined Camphill Village on 18 July 2016 (Mandela Day) to start off his twelve month in-service training for his National Diploma in Agricultural Management, which he is studying at the Nelson Mandela Metropolitan University. He is part of the farm team where he is being trained by Rudi Malan, our Estate Manager, in the practical side of farming. On his first day at Camphill he already started milking our dairy herd and he loves being part of the milking team. The dairy is his favourite place in Camphill and he takes his responsibilities very seriously, making sure the milking process is correctly and hygienically followed. This is his first experience working with our residents and he says that he has learnt a lot from them. Babalo has starting exercising in our new Camphill gym and has taken on the challenge to assist with training some of the residents. 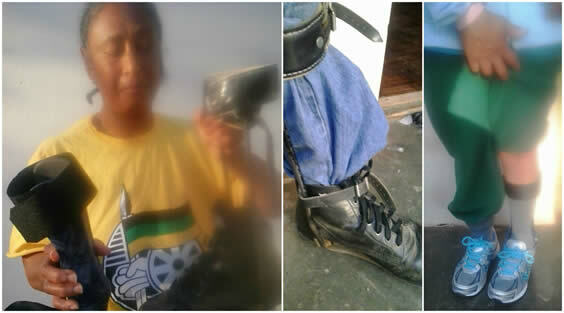 In 2011 he competed on provincial level in boxing at the South African games tournament. He loves watching sport especially soccer and boxing. His dream is to own his own farm. He pictures himself driving his tractor listening to jazz music. We are looking forward to watching this young man develop into an experienced young farmer. Viola spent a year as Young Co-Worker at Camphill. She played the viola beautifully, became a gardener, milked the cows often and helped Alex every meal time. On her way out of Ferry Viola says her last goodbye, and so it was the last picture taken with her special friend Alex too. She promised to pack him in her suitcase and when he was not so keen she said "Then I will just drop you off over Namibia". "Yes!" shouted Alex! "Do it." Dear Saint Sarah and Mom and Dad Duenninger, this is a special thank you from Roselin. Thank you for the funky, light new splint. For the first time she does not have to wear the black boots with heavy iron attached to it, but can wear normal shoes. 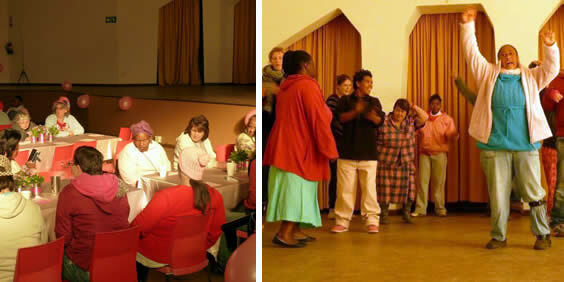 Thank you also to Ronel van der Walt and Wilhelm Bosman for the lovely clothing you have donated. Our PayPal account is now in operation; there are now three ways to donate cash to Camphill Village West Coast. Foreign donations can be made through a NPO in your country and a tax certificate can be issued, please contact Janine to discuss for more info. NB! Your donation is TAX DEDUCTIBLE, we would like to thank everybody that supports Camphill, remember without your support we cannot continue the work we do. We provide a safe normal life for people living with intellectual disability. We have embarked on a drive to find a sponsor for each resident who has no family or financial means. Without Camphill Village they would be on the streets where people with special needs are often victims of abuse and manipulation and at risk even within their own families and/or communities. And without financial assistance we cannot continue providing this place of safety. 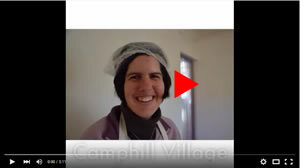 Living at Camphill Village West Coast gives people with intellectual disability the chance to live a full, creative and fulfilled life, to develop their abilities and contribute to their community. The life that we take for granted, is for many a gift. However we can only do this when financial support is found for the individuals. Support Camphill Village with a MySchool MyVillage MyPlanet card. Every time you shop at Woolworths, Waltons, Kalahari.com, ToysRUs and several other partners, a percentage of the amount goes to your MySchool beneficiaries. You can have up to three beneficiaries per card, so can support us at the same time as your school or other favourite charity. Thank you – every little bit makes a difference! Copyright © 2016 Camphill Village West Coast, All rights reserved.